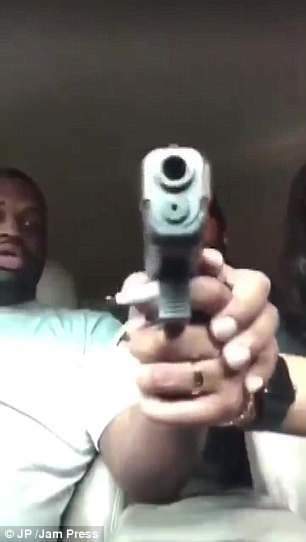 A Texas woman has been charged with tampering with evidence, after she was captured on Facebook Live shooting a man in the head whilst playing with a handgun. 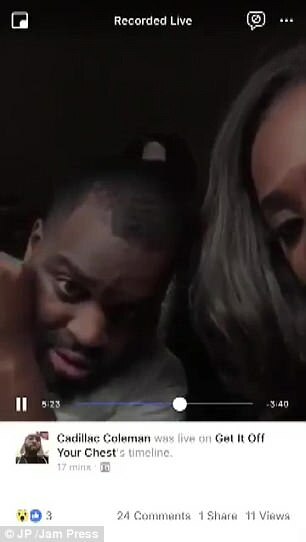 The horrific video, which has now been seen thousands of times on social media, shows the exact moment Devyn Holmes was shot on Sunday. 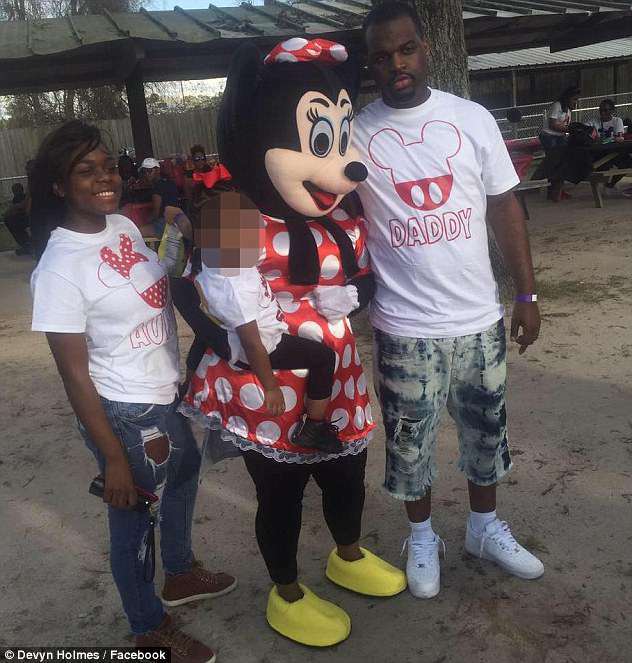 Holmes, a 26-year-old father-of-two, is now on life support fighting for his life. Cassandra Damper, the woman who shot Holmes, has since been charged. 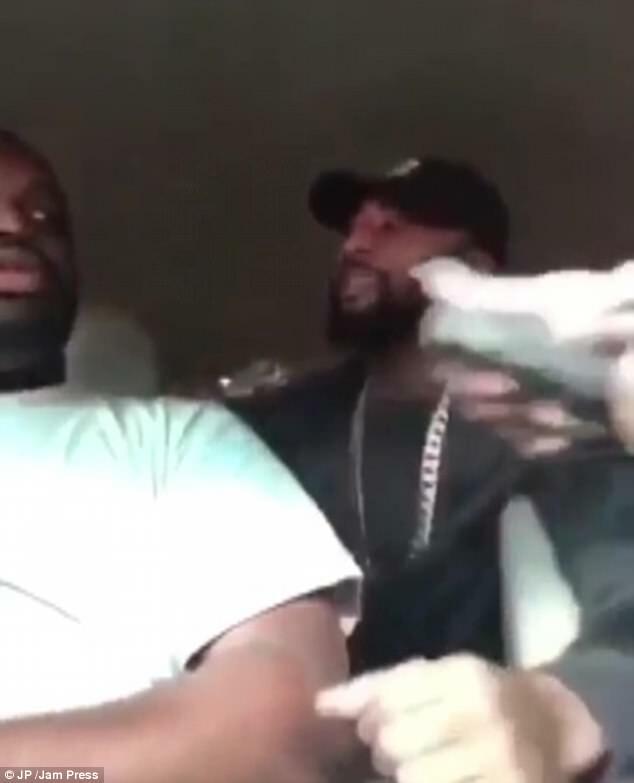 The beginning of the video shows Holmes picking up the gun and looking at it. It then cuts to another part of the live feed, when a man in the backseat puts the gun between Holmes and Damper. Then Damper picks up the gun and points it directly at the camera as Holmes grabs her hand. ‘You’re making me nervous,’ he tells her. ‘She ain’t got no clip bud,’ the man, believed to be Cadillac Coleman, tells Holmes. ‘Where you from again?’ Holmes asks Damper. The gun then goes off as Damper gasps as a bullet hits Holmes in the head. Blood spills onto his white T-shirt. She and Coleman immediately flee the car, leaving Holmes bleeding out in the front passenger seat. Damper has been charged with tampering or fabricating of evidence after she tried to wipe gunshot residue from her hands, according to Click2Houston. She told police that she didn’t know the gun was loaded. Coleman has not been charged. 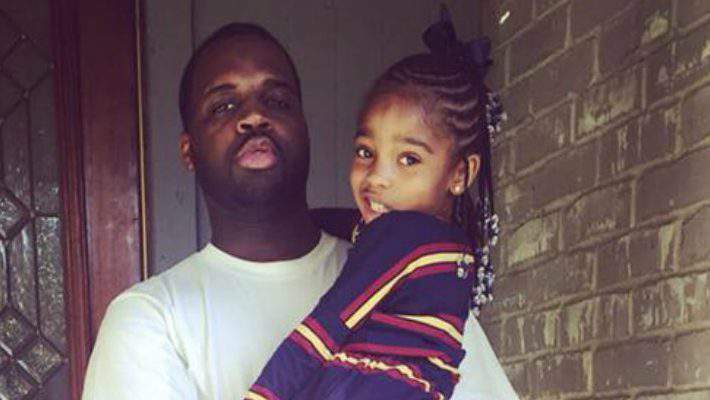 Devyn Holmes has been described by those close to him as a devoted family man. Although initial reports describe the incident as an accident, Devyn’s mother told reporters she does not believe it to be the case. Damper is currently free on bond and was given an ankle monitor and curfew. Prosecutors say there will likely be more charges against Damper in the future. Meanwhile Devyn’s cousin, Dekenia Mcneal, has provided updates on Facebook about her family member’s condition. She says that he is breathing and responding on his own. Devyn’s father Allen Tyler also confirmed that his son was making miraculous progress. 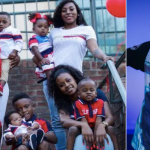 Previous article Four Women With Kids By The Same ‘Deadbeat Dad’ Are Being Dragged For Viral Family Photo! Next article The Daughter Of The Richest Man In Africa Got Married – And It Looks Like Wakanda!